It’s back. Not sure if it’s better than ever though. On Thursday, the Boston Red Sox had a press release that should have some people excited for November. It said college football action would be coming back to Fenway this year for a few games. There’s a few matchups it lists, so here’s a look at them. Saturday, November 18, Boston College will play UConn. So yeah, technically it’s a BC home game because Fenway was actually their home field back in the day, now it’s just a novelty for them — like when they lost to Notre Dame in 2015 at Fenway. Brown and Dartmouth College will also have a game there on Saturday, Nov. 10. Both of those teams have played at Fenway in the past but then again, none of these guys on their active roster were there when it happened. One day later, UMass steps up as they are set to face UMaine. So yeah, there’s going to be college football on a Sunday. What are the odds of that? And no, neither of those teams has ever played football at Fenway Park. What’s missing from this list? Easy: high school games. There needs to be high school football at Fenway like there was last time around. A handful of teams played their Thanksgiving game or pre Thanksgiving game at Fenway in 2015. Definitely would be cool to see that again. Perhaps the coolest of the bunch was Xaverian playing there and then going to Gillette to win a Division 1 State Championship the next week. Pretty legendary. Maybe this time around too, they could change up the schools and give some other programs a chance to play there, Regardless, there needs to be some high school football at Fenway too. That would be sweet. 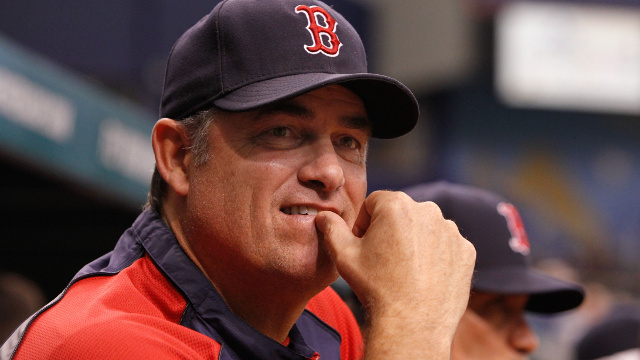 Is John Farrell’s job in danger?